Do you have problems getting consistent colors on your plots? Sometimes users change color tables that cause odd colors to be printed. When submitting a grayscale print of color elements yellow elements print lighter than blue elements. Other times users just have elements defined with the wrong color number. These can be resolved by using Pen Tables. 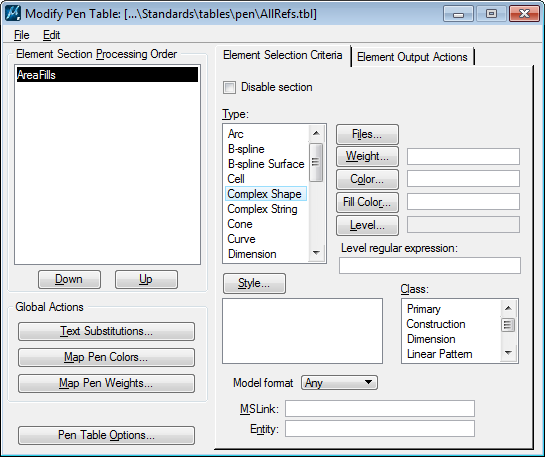 In this example, we will be setting up a pen table to fill shapes with a standard light shade of gray (210,210,210). Define the Element Selection Criteria for selecting the shapes to be filled with our standard color. 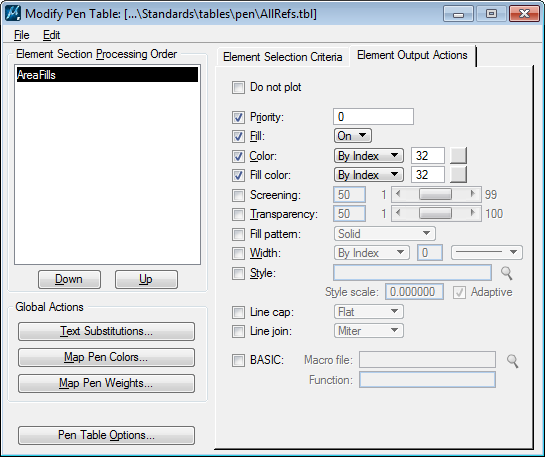 In the Element Output Actions, many users will select a color number from their standard color table. 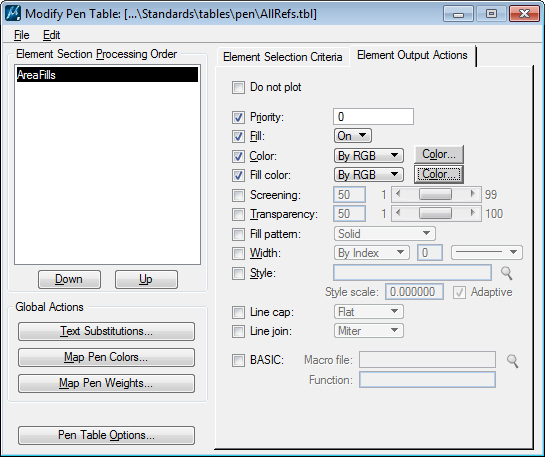 In theory that should work, but users have been known to change color tables in which case the color index will print a different color (see bullet point 1 above). Some users set the color options to Grayscale. The output will be in shades of gray, but different colors convert to different shades (see bullet point 2 above). 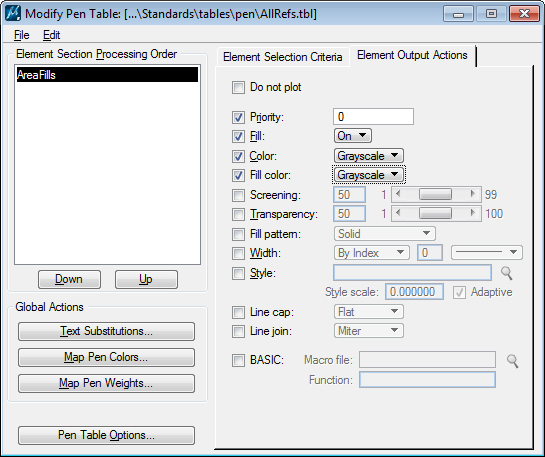 The way to get standard color/gray shade output using a pen table is to explicitly define the desired RGB value using the By RGB settings. 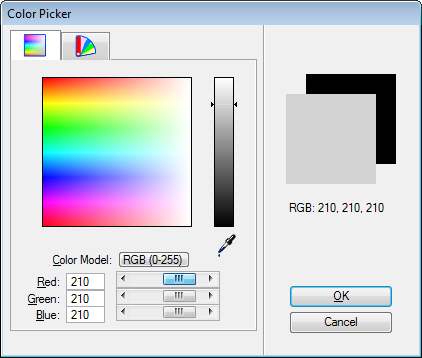 Selecting the Color… button will open the Color Picker dialog. Set the Red, Green, and Blue values as required. Click OK to save the color value.